If you’re not yet familiar with the name TRAAMS then we guarantee you will be soon. The exiting krautrock three-piece turned to music back in 2011 in a bid to escape the frustration and lack of excitement they were experiencing in their mundane hometown in East Sussex. 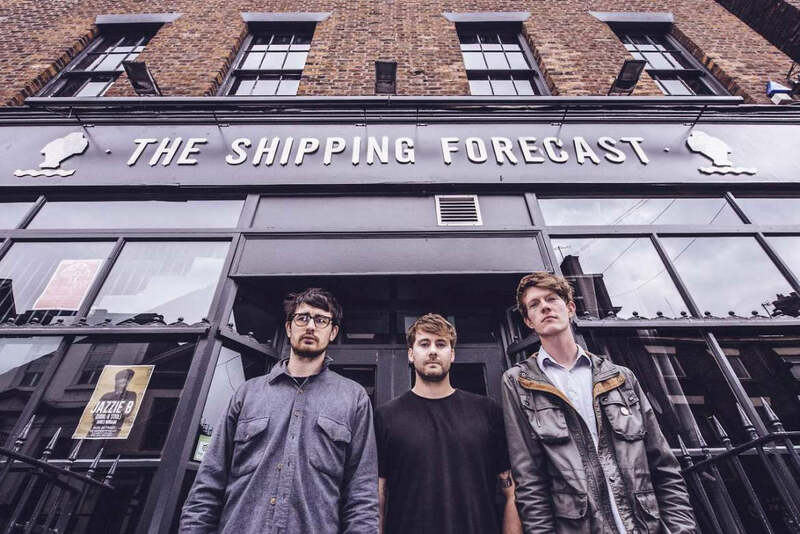 The trio have since gone on to enjoy a slew of achievements, from signing with FatCat Records, as well as recently releasing their third EP, not to mention the countless number of festivals they’ve already played both here and overseas this summer alone. The future definitely looks very positive for TRAAMS and we're looking forward to seeing how it pans out. You did a mix for BBC 6 Music recently. Which tunes would you include to get the dancefloor rocking? Off the top of my head I'd probably go for ‘Lick Shots’ by Missy Elliot, ‘Method man’ by WuTang Clan, ‘Like You’ by Gramme, ‘Temporary Secretary’ by Paul McCartney, ‘Psycho Killer’ by Talking Heads, ‘Be Stiff’ by Devo, ‘Atlas’ by Battles, ‘Decepticon’ by LeTigre, ‘Where is my mind’ by Pixies, ‘Making Plans for Nigel’ by XTC, ‘Optimo’ by Liquid Liquid, ‘Pump it up’ by Elvis Costello, ‘Disco Infiltrator’ by LCD Soundsystem, ‘Music is My Radar’ by BLUR, ‘Magnificant Seven’ by The Clash. Your third release, the ‘Cissa’ EP, came out last month - what did you try including on that EP? It's a mix of stuff that we'd been writing and playing live straight after the album came out. It's got some short scrappy poppy stuff on there and a couple of longer noisier tracks. It's been cool being able to play some new tracks live and people know them. Have you had any tour mishaps so far this year? Not really. Padley broke his foot last year leapfrogging over a member of Honeyblood. We also had to carry Adam to the van on the morning of one of our European tours because he'd drank a full bottle of Gin and passed out in the UK hotel. He came round at the venue in Belgium looking very confused. You’ve played and are booked to play a hell of a lot of festivals this year (including some foreign ones). What are your three festival clothing essentials? I guess it depends where the festival is. But if it's in England I’d always bring a waterproof coat, wellington boots and of course, sunglasses, to help you battle with the effects of those pesky hangovers. Beacons is a festival that puts a lot of effort into creating a full experience. What other attractions, aside from the music, will you be trying out this weekend? The Ale tent *laughs* I couldn't drink when we played last year and it sucked. Who else on the Beacons line up has caught your eye? I want to catch Metz , Girl Band, Darkside, Menace Beach, Hookworms, Eagulls, The Fall, Speedy Ortiz, Joanna Gruesome, Pains of Being Pure At Heart and Nope. We're going to hang out all weekend so hopefully I'll get to see quite a bit. A huge thank you to TRAAMS for their time. Catch them playing on the Noisey stage at Beacons Festival this weekend. For more info click HERE.